Armin van Buuren: DJing and exercising at the same time. Classic multi-tasking. Armin van Buuren may have just been dethroned by David Guetta as the best DJ in the world in DJ mag's 2011 poll, but trance remains one of the biggest deals in dance music, and SampleRadar is doffing its cap to it for a second time this week. Whether you're just starting your trance-making career or are an experienced producer looking for inspiration, there's something here for you. The samples are split into six folders: basslines, beats, SH-101 loops, synth loops, TB-303 loops and trance FX. 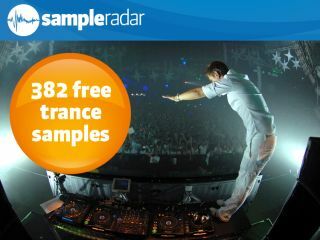 The trance essentials samples are supplied in a zip file, so you'll need to extract them before you can see them. Enjoy!